Some of my longtime readers might be thinking that this juice looks a tad familiar. Yep- it’s essentially the same carrot, ginger and lime combo that I discovered last year while cooking my way around Jamaica. It’s got the same ginger punch, but the freshly extracted juice is a couple notches more intense than the blender version since there’s no water to dilute the flavor. Sometimes people are reluctant to get into juicing because it can get expensive really quickly; it can take a whole lot of (pricy!) produce to make one or two glasses. 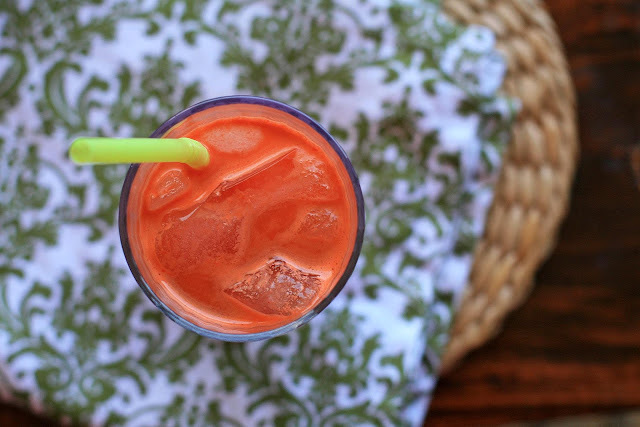 Thankfully, carrots are an inexpensive option at pretty much every grocery store. And I’ve been told that when carrots and romaine lettuce are juiced together, it tastes like chocolate milk. I’m still skeptical, but I’ll be sure to do some investigating this upcoming weekend. 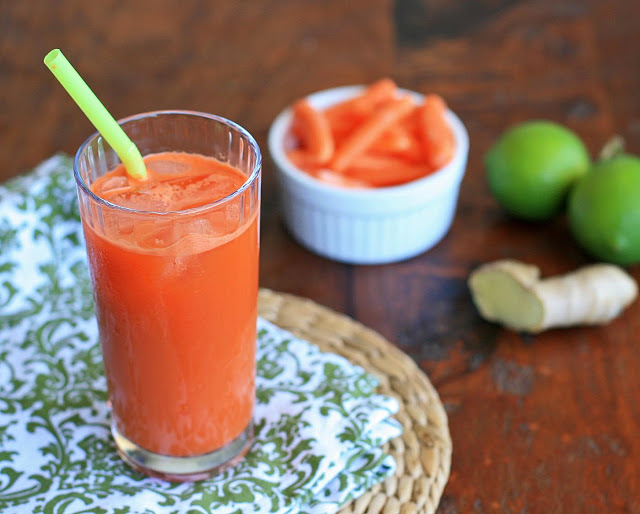 Process the carrots, lime and ginger through a juicer. Taste and add a drop or two of stevia, if desired. Serve immediately over ice.